In the special field of Work Studies / Economy of Sustainable Consumption, under the direction of Prof. Dr. Ulf Schrader, an interdisciplinary team is researching on topics of Corporate Social Responsibility, Sustainable Marketing, Innovation Management and the effect of mindfulness on Sustainable Consumption. Obtained research insights are incorporated into the education of teachers for the school subject of “Work-Studies”. Training and education of future school teachers is the main focus of the department, which also takes the managing role for BiNKA. Ulf Schrader holds the chair of Economic Education and Sustainable Consumption of Technische Universität Berlin since 2008. In addition, he is since 2016 the director of the School of Education of TU Berlin (SETUB). He studied economics, business administration, political sciences and sociology in Göttingen, Dublin and Hannover and holds degrees as “Diplom Ökonom (1995)” and “Magister Artium (2004)”. He did his PhD and his post-doc-degree (Habilitation) at the Leibniz Universität Hannover. Ulf Schrader is the chairman of the Co-operation Council for Teacher Education of the state of Berlin. From 2011 to 2015 he was also a member of the Scientific Advisory Board of the German Federal Ministry for Nutrition, Agriculture and Consumer Protection (since 2014: Ministry for Nutrition and Agriculture) and until 2013 member of the Innovation Advisory Board of the German Federal Ministry for Economic Cooperation and Development. He is a member of the Editorial Board of the Journal of Consumer Policy. Besides his teaching, he co-ordinated numerous research projects in the fields of sustainable consumption and corporate social responsibility. 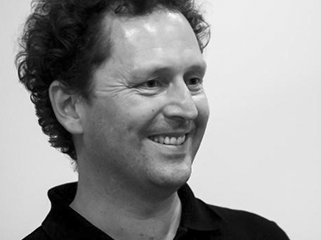 Currently (2015 – 2018), he is heading the research projects “BiNKA – Education for Sustainable Consumption through Mindfulness Training (Bildung für Nachhaltigen Konsum durch Achtsamkeitstraining)” and “IMKoN – Integrating Employees as Consumers into Sustainability Innovation Processes (Integration von Mitarbeitern als Konsumenten in Nachhaltigkeitsinnovationsprozesse)“, both funded by the Federal Ministry of Education and Research (BMBF) as part of the Social-Ecological Research (SÖF) framework. In addition, he is co-chairing the suprojects „Social Utility Value and Profession Choice Motivation for Technical-Oriented Vocational School Teachers” and „Teach-Learn-Laboratories in Work-Studies (Arbeitslehre)”, both part of „TUB-Teaching“, the joint project of TU Berlin in the framework of the “Qualitätsoffensive Lehrerbildung [Quality Campaign for Teacher Education]”. Surgery while semester: Wed. 4.00-5.00 pm and as agreed; Surgery while semester break: as agreed. Please subscribe per Mail in order to make sure you won’t come unsuccessfully. Ulf Schrader is from August 2017 till Februray 2018 in research semester. Laura Sophie Stanszus, born 1984, studied business administration in Berlin and Singapore (BA) as well as Corporate Social Responsibility (MSc) in Nottingham, UK. In her research, she focused on the substance of sustainability in the fashion industry as well as the discourse of youth consumers about green fashion. As part of an internship in the CSR department of Ernst & Young India, she conducted a survey on the correlation between the rise in disposable income of the Indian middle-class and consumer awareness of organic food and fair trade. After her studies, Laura Stanszus helped building up the master program “Sustainability in Fashion” at the International University of Art for Fashion, ESMOD Berlin. From March 2012 (until September 2014) on, she started working at the TU Berlin, in the project “live and work sustainably“, which was funded by the German Federal Foundation for the Environment (DBU). In the frame of the project and inspired by her own interests and experience, she developed her dissertation topic “Education for Sustainable Consumption through mindfulness training” (German acronym: BiNKA) because even though she was passionate about Education for Sustainable Consumption, she also felt the affective components of education as well as a more inclusive approach engaging the whole person were clearly missing from the discourse. 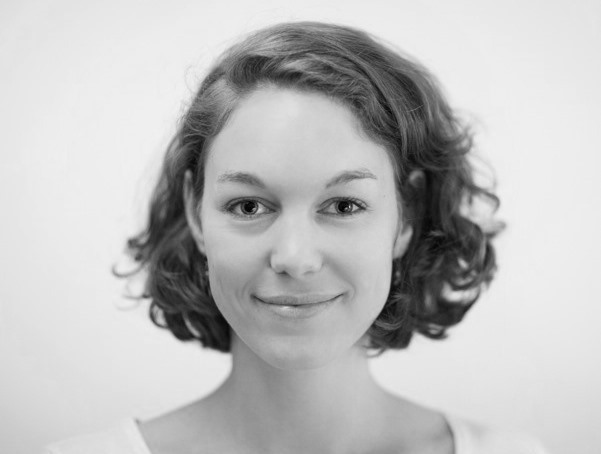 In the project, she is, apart from pursuing her thesis with a qualitative study, responsible for coordination and organization of BiNKA (with Ulf Schrader). She loves yoga and meditation and is equally keen on practicing her mindfulness through enjoying lots of home baked cookies (such as: https://detoxinista.com/vegan-peanut-butter-date-cookies/) and healthyfied chocolate pudding (see: http://whatfoodcan.com/project/chocolate-avocado-mousse-video/). Sonja Geiger studied psychology at the Humboldt Universität zu Berlin (Master in Psychology 2004) and did her PhD in cognitive psychology at the Universität Potsdam, followed by a Post-Doc position at the Cognitive Science Lab at the UWA, in Perth, Australia. The turn towards environmental psychology was paved by her practical work experience over three years in the environmental NGO “Amigos de la Tierra” (FOEI, Argentina) in Buenos Aires, Argentina. This is where she lived from 2008 to 2012 passing on her experiences with environmental problems to the first environmental-psychological research project at the UBA (Universidad de Buenos Aires). An especially lasting impression on her made the natural philosophy of the first nation people in South America, where she learned that the idea of a “good life” (from the Quechua expression “sumac kawsay”) has been based on the wellbeing of Mother Nature (Pacha Mama) for millennia. A lot of the constructs that are being researched in modern environmental psychology can be found in this philosophy (e.g. connectedness to nature, a future perspective aimed at seven generations to come or sufficiency as consumption principle, to name but a few). Since March 2015 she is bringing her research experience in these topics to the BiNKA-table. Particularly interested in the interplay between mindfulness and further factors that affect sustainable behavior, as e.g. the role of general values in life, the above mentioned future time perspective or objective knowledge of environmental issues. In a second research project at the Ulm Universität she is researching psychological factors of sustainable clothing consumption in a living laboratory (https://www.uni-ulm.de/mawi/reallabor.html and http://dietenheim-zieht-an.de/ ). Teaching experiences span universities in different countries (Uni Potsdam, TU, SRH Germany, UWA Australia, UBA, UAI, Argentina), languages (German, English, Spanish) and subjects (Statistics and Empirical methods of the Social Sciences, Fundamentals of General Psychology, Environmental Psychology, Sustainability and Society). 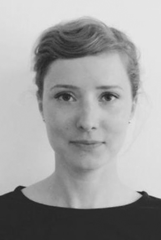 Tina Böhme has been working in the BiNKA-project since November 2015 and studied psychology and Scandinavian studies at Humboldt-Universität zu Berlin (Master of Science in Psychology 2015). At Humboldt-Universität zu Berlin and Max-Planck-Institute for Human Development she worked in different research projects in the fields of neurocognitive, clinical neuro- and developmental psychology. In her master thesis she investigated the effects of a mindfulness training (Mindfulness-Based Stress Reduction, MBSR) on the creativity of students and teachers (cooperation with Albert-Ludwigs-Universität Freiburg). For many years, she has been involved with various sustainability topics as well as within the educational work with children, adolescents and adults in different countries, e.g. as a volunteer with “kulturweit” (German Commission for UNESCO) at a school in the south of Chile. In her doctoral thesis, Tina investigates the effects of the BiNKA-training on sustainable behavior of adolescents in the school context. Moreover, she is a licensed Vinyasa Yoga teacher and practices mindfulness meditating at home, moving through asanas on the yoga mat, or floating through the bustle of Berlin. Maxie Riemenschneider has been working as a student assistant for the BiNKA-project since March 2017. She finished her Bachelor of Science in Psychology at Freie Universität Berlin in 2014. 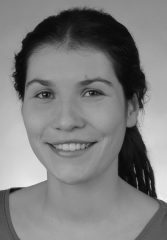 She is about to finish her Masters in Clinical- and Health Psychology at Freie Universität Berlin and currently working on her master thesis within the BiNKA-project: the development and validation of the German Material Value Scale for Youth which is been used within the project. She discovered her passion for environmental psychology at her first congress for environmental psychology of the “Initiative Psychologie im Umweltschutz” (Initiative for environmental psychology). Across the years, she participated in numerous other congresses of this kind, gave and gives workshops on topics related to environmental psychology and since 2016 she is part of the executive committee of this association. Her first contact with mindfulness was in 2012, when she participated in a ten day Vipassana meditation retreat in Italy. Julia Lichtenberg had been working in the BiNKA-project from January 2017 till July 2017 as a student assistant. She is studying Work- Studies (Arbeitslehre) and Sport Science since 2014 at the Technische Universität Berlin and Humboldt- Universität zu Berlin. She is aiming to become a teacher. Education for Sustainable Consumption is a high importance to her. Lena Kaupmann had been working as a student assistant for the BiNKA-project from May 2015 till April 2016. In the context of the project, she got a first view in the topic of mindfulness. She finished her Bachelor in Business and Philosophy with the focus on Sustainability Marketing Management and Public/Non-Profit-Management at Universität Potsdam. Besides the assistance in the project, she absolved her Masters in Business with this focus. The teaching focus and the main research are in theory construction and professionalisation in the field of sustainable communications (especially education, journalism and scientific communication) of the interdisciplinary team of the UNESCO Chairs Higher Education for sustainable development. The main research for Education of Sustainable Consumption (ESC) has already been deepened among SÖF-Verbundvorhaben “BINK” (educational establishment and sustainable consumption, www.konsumkultur.de), which is benefited of the Federal Ministry of Education and Research (FMER). Daniel Fischer is an educator and social scientist. He graduated from the University of Osnabrück and received a Master’s degree in Educational Management and School Development at the University of Osnabrück and the Pädagogische Akademie des Bundes in Vienna, Austria. At the Faculty of Sustainability of the Leuphana University of Lüneburg, he promoted a cumulative work on the contribution of the school to addressing the global consumer demand for Dr. rer. Soc .. 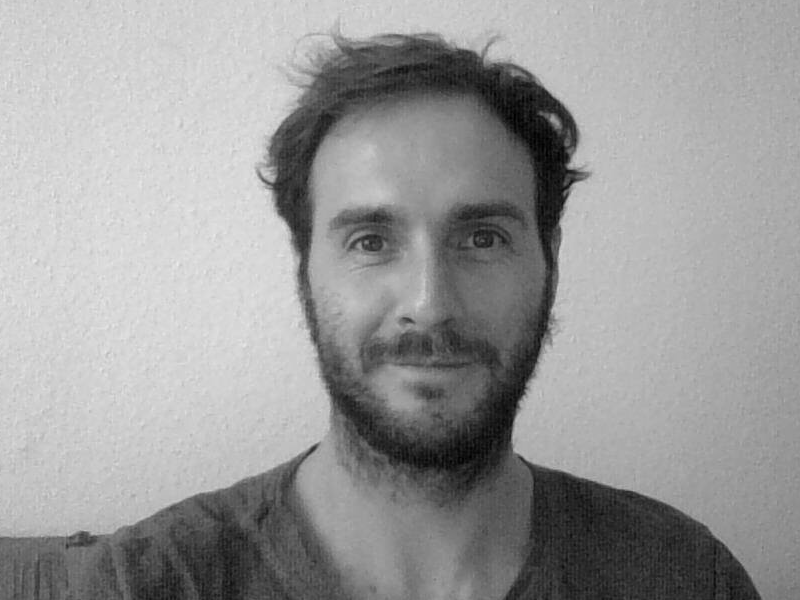 Since 2008 Daniel Fischer has been a research assistant at the UNESCO Chair “Higher Education for Sustainable Development” at the Leuphana University Lüneburg, where he coordinated several research and development projects. The certificate course sustainability and journalism. His research focuses on education for sustainable development, consumer education, sustainability communication, journalism and consumer research. Within the framework of the project he is interested in the potential of mindfulness from the point of view of education and social sciences to promote reflexive competences and to empower individuals to emancipate themselves from traditional cultural practices of need satisfaction. In the project, he heads the Lüneburg subproject and represents the focus on education for sustainable consumption. 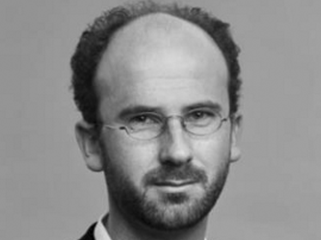 Prof. Dr. Gerd Michelsen is a graduate economist and environmental scientist. He studied at the universities of Kiel and Freiburg im Breisgau. In 1995, he began teaching at the Leuphana University of Lüneburg as a professor of environmental and sustainability communication. Since 2013 he has been a senior researcher for sustainability research. 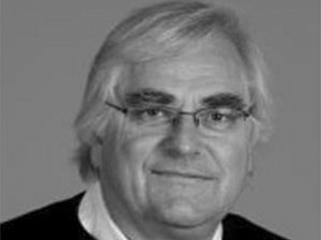 Gerd Michelsen founded and headed the Institute for Environmental Communication and has held the UNESCO Chair “Higher Education for Sustainable Development” since 2005. He was a member of the Executive Board of the German Commission for UNESCO on the Decade “Education for Sustainable Development” (2005-2014), as a German representative in the task force UN ECE “Strategy for Education for Sustainable Development”. 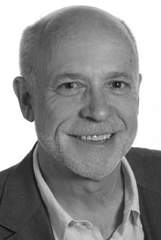 In the project BiNKA, Gerd Michelsen brings his many years of experience in the field of sustainability research, in particular (university) education for sustainable development and sustainability communication. Pascal Frank was born in 1985 in the beautiful Eifel. From 2005 to 2010 he studied cultural studies (focus: sociology) at the Fernuniversität in Hagen and as a second student in psychology at the Rheinische Friedrich-Wilhelms-Universität in Bonn. He absolved his Masters degrees in “Ethics, Responsibility and Development” (2014, University of Friborg, Switzerland) and “History, Philosophy and Sociology of Science Technology and Medicine” at the prestigious University of Cambridge. Since September 2015, Frank has been working as a teacher at the Hagen Fernuniversität in the area of Sociological Presence Diagnosis and since August 2016 as a research assistant at the BiNKA project. His research concerns in particular individual discrepancies between moral claims and actual action. In this context, he (using the example of the consumption of animal products) examines the role of affective-motivational influencing factors for the personal development of knowledge, which in turn codify concrete action. He relied on mindfulness techniques as a systematic-controlled method of introspection. For Pascal Frank, the past eleven years have been extensive traveling years, during which he also dealt with the issue of (socially and ecologically) sustainable travel and also published it. He also worked on a voluntary basis in various institutions on the subject of sustainability (for example as president of the civil society platform “Clear up” or as a green officer at Wolfson College, University of Cambridge). Since September 2015, he has also been trained as a Iyengar yoga teacher at the Iyengar yoga institute Rhein-Ahr. 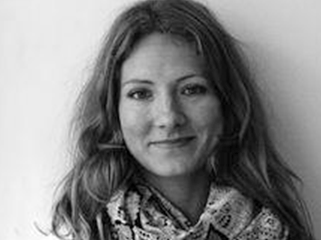 Anna Sundermann has been a research associate at the Institute for Environmental Communication and the UNESCO Chair for “Education for Sustainable Development” since 2013. She studied diploma psychology with a focus on pedagogical and economic psychology. 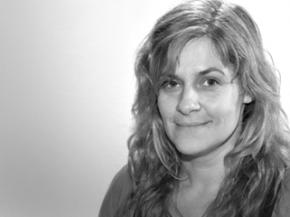 Her research focuses on the topic of higher education for sustainable development and the recording of learning processes and results of students. She is especially interested in how to implement education for sustainable development in higher education institutions and what effect this integration has on the students. The psychologist is currently working on the project “Longitudinal Study on the Integration of Sustainable Development in Higher Education (LISHE)” at Leuphana University. 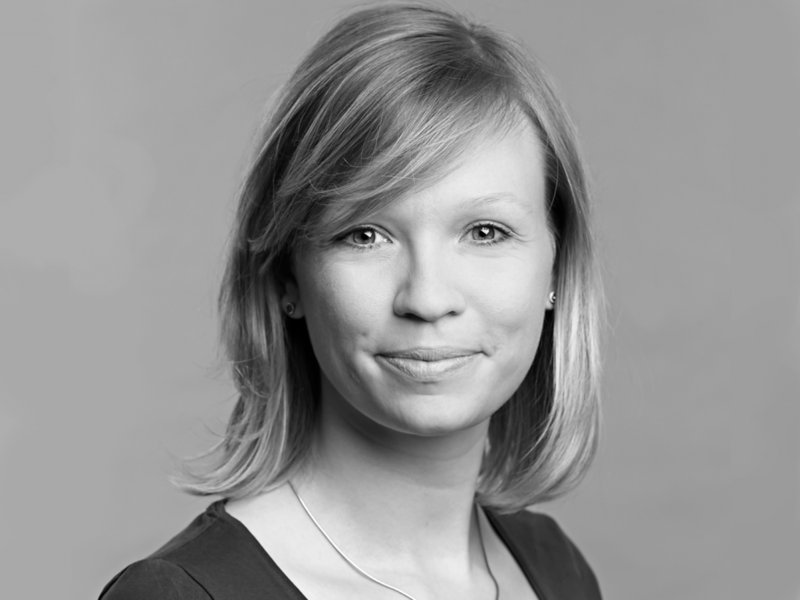 Anna Sundermann supports the project BiNKA with her expertise in the field of mixed methods, longitudinal section design and quantitative analysis methods. The center is dedicated to deepening and expanding professional and personal experiences in dealing with mindfulness and other elements of Buddhist psychology. This is especially the case for people who already practice and use mindfulness both in their professional activities and in their personal growth. We hope that the Center will help to improve the quality of mindfulness in a professional setting. It is conceived as a place where the practice of meditation is in harmony with its Buddhist origins, and in this way is able to shape different aspects of life. In addition, the EZFA provides the opportunity for a deep exchange on how science and Buddhist psychology can be combined. Paul Grossman, PhD is the founder and director of the European Center for Mindfulness, Freiburg, Germany, a meeting place and for Buddhism-inspired, continuing contemplative learning and a training center for mindfulness-based stress reduction. He is also Research Director, Department of Psychosomatic Medicine, University Hospital, Basel, Switzerland. Over three decades, Dr. Grossman has investigated relations between psychological function and cardio-respiratory physiology, as well as the adoption of mindfulness and other elements of Buddhist psychology in the health-related sciences. He has also been principal investigator of several clinical trials of mindfulness-based interventions for serious medical conditions.